Did you know a Doctor of Chiropractic can often speed relief to those who suffer with headaches without the use of medication? Experts have found that 90 percent of those with headaches can be helped with chiropractic care. This includes different types of headaches which may be classified as stress, tension, migraine or sinus headaches. Chiropractors have identified the cause of many types of headaches to be due to the alignment of the spinal bones in the upper part of the neck in relation to the skull. If the topmost bones of the spine, called cervical vertebrae, are misaligned or moving improperly they can irritate the nerves of that area which then may trigger the onset of headaches. Many times patients wonder why these vertebrae become misaligned. The causes are many. It could be from prolonged poor posture while we go to school from kindergarten through high school and possibly college. And of course many of us have to sit long hours at a desk at our job. The cause could also originate from it difficult birth process at the beginning of life. Of course trauma could be involved. Something as significant as a whiplash from an auto accident could be the originating source. But something as innocuous as heading the ball during youth soccer could be the culprit. So we can see that many things might cumulatively cause misalignment of the upper cervical vertebrae causing headaches. 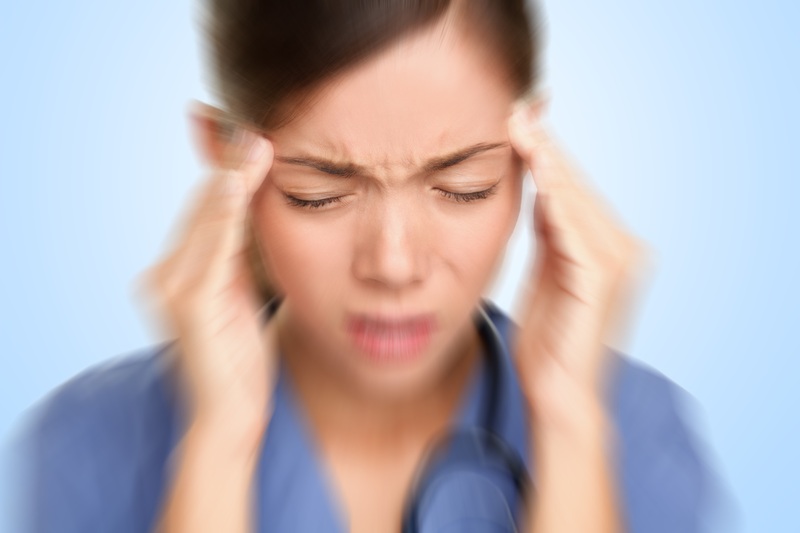 The profession of chiropractic is in a unique position to help those suffering from headaches. Chiropractors have training to look at the skeletal alignment, nervous system and muscular system. When a chiropractor corrects a mal-positioned or improperly moving vertebrae many times it can speed relief and help headache sufferers without the use of drugs and medication. At times the public may wonder about the safety of chiropractic care. Research has been directed toward this topic. In 2001 the Canadian Chiropractic Association Journal reported a study that the incidence of stroke following neck treatment by a chiropractor was one per 5.8 5 million. On average, a chiropractor would have to work for 1430 years (48 for chiropractic careers) for this to happen once. Driving to the office would probably be considered more dangerous. When one considers that every year one hundred thousand people are estimated to die as a result of taking prescription medicines we can readily see by comparison that chiropractic may have to be considered the safest form of treatment for those who seek relief from headaches.